If you really want to lose weight this year, forget the fad diets and remember to eat breakfast and drink milk. Researchers suggest that starting each day with milk and cereal may be the success for achieving a healthy weight. Many women don't realize to eat breakfast but to skip entire morning tastes. Considerable number of people finish with a soft drink or a cup of coffee as their morning meal. When women diet, they often make two big mistakes that can result in weight gain—skip breakfast and ditch dairy. But in reality, eating breakfast and including about 24 ounces of milk each day are good steps that could make a significant difference in achieving a healthy weight. Studies show that people who regularly eat breakfast, particularly cereal with low fat or fat-free milk, tend to be leaner compared to those who skip the morning meal or eat other choices. Also, breakfast eaters are more likely to have long-term success in maintaining a reasonable weight. 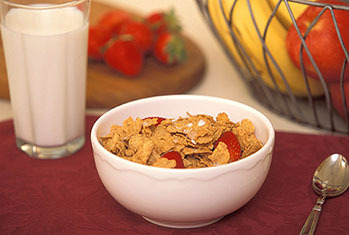 There is a finding that a cereal and milk breakfast is a habit common to successful weight loss maintainers. Combine that with studies linking 24 ounces of milk a day as part of a reduced calorie diet with healthy weight loss, and you've got a strategy that may lead to lost pounds. Multiple studies have shown that women who drink milk and get adequate amounts of calcium in their diets tend to weigh less than their peers who don't drink milk. A diet deficient in calcium has been identified as a "risk factor" for being overweight. We have found that when overweight adults begin to drink about 24 ounces of milk or milk products in their reduced-calorie diet, they're able to lose more weight and more body fat. Most women don't realize the benefits of breakfast and milk. And they may take more of carbonated soft drinks, beverages, coffee, fruit juice and simple sandwiches which make weight to increase. Calcium, iron, folic acid and fiber are important substances in the body to achieve healthy weight. 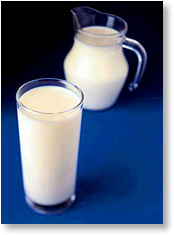 Cereals and milk in the morning will give you all the above important substances in your body. 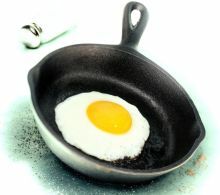 Eating eggs for breakfast can reduce hunger and caloric intake, both at lunchtime and over the next 24 hours. The study compared the effects on hunger of two calorically identical breakfasts. One consisting of two scrambled eggs and two slices of toast with low-calorie jelly, and the other a 3 1/2-inch bagel with cream cheese plus a 3-ounce nonfat yogurt. The study was carried out with several overweight individuals. Obesity is a serious problem throughout the world nowadays. Our hypothesis is that eggs could be useful in helping overweight people reduce their energy intakes, a prerequisite of losing weight. We need to test it specifically in overweight and obese subjects instead of extrapolating the effects from their nonobese counterparts. Subjects are randomly assigned to eat one of the two different breakfasts two weeks apart. Meals are prepared and eaten at the research facility to ensure complete control of the amounts consume. Satiety and hunger after breakfast are evaluated by measuring calories eaten at lunch. The researchers found that when participants had eaten the egg breakfast they consumed significantly less energy not only at lunch on that day, but also throughout the day and the next morning compared to the bagel breakfast. On average they ate about 163 fewer calories for lunch, 263 fewer calories that day, and 418 fewer calories over a 24-hour period. Eggs are convenient, affordable and nutritious food. We know that egg consumption does not contribute to the risk of coronary heart disease or stroke. 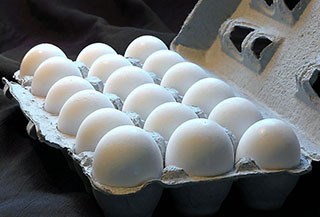 Furthermore, eggs have a 50% higher satiety index than other common breakfast foods. These attributes suggest that eggs may be an important part of diets that promote weight management. The studies show that protein-based breakfasts improved weight loss better than carbohydrate-focused breakfasts. Other studies found that a high protein breakfast increased loss of body fat and preserved lean muscle mass better than a high carbohydrate breakfast. The better effects are increased when the dietary regime is combined with exercise. How about that? Sound good and look good, aren't they?